Best Gift Ideas for a 6 Year Old Girl! What is the Best Gift for a 6 Year Old Girl? What is the best gift for a six year old girl? Six year old girls are definitely not toddlers anymore and they like to belong to ‘the big girls’ club now. Most 6 year old girls will be going to first grade, so they definitely are growing! Since I absolutely love helping parents and grandparents choose the best gift for their children and grandchildren and I am the mother of a girl myself, I decided to create this gift guide to help you find the best and most fun gifts for 6 year old girls! 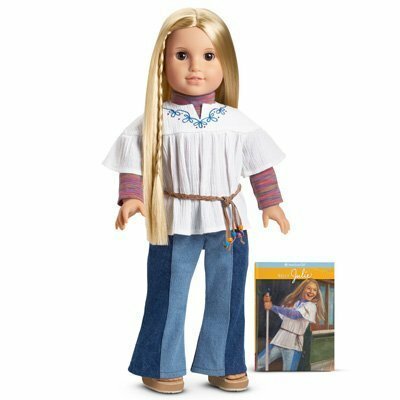 American Girl Dolls: Great Gift Idea for 6 Year Old Girls! 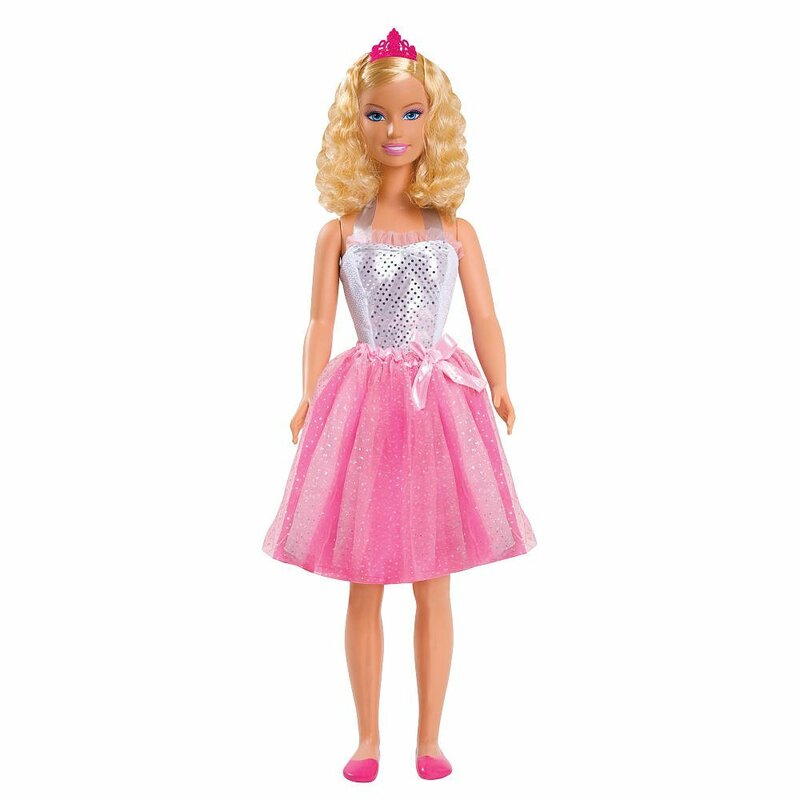 A beautiful doll will always make a wonderful gift idea for girls! 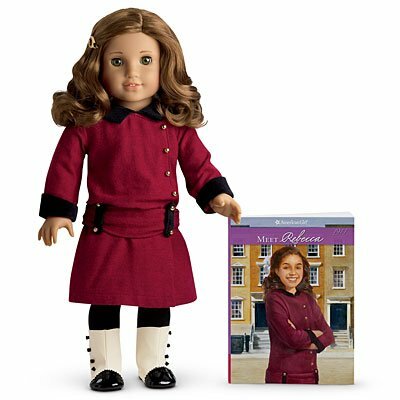 This cute American Girl doll comes with a book too, which is great for 6 year old girls going to first grade! They get to play with their doll and also read a beautiful story related to her doll! Fun Doll for 6 Year Old Girls! Happy buyers say that every girl should have an American Girl doll! They are very beautiful and come with a book teaching kids about American History! Julie was born in the 70’s and she is lots of fun! She comes loaded with stories from her time growing up in San Francisco! Her blonde hair is absolutely gorgeous and of great quality! Cute Lalaloopsy Dolls with Fun Silly Hair! Lalaloopsy dolls make great and fun gift ideas for 6 year old girls who love to play with dolls! They are gorgeous, cute and happy dolls with fun wacky hair! You gotta love her crazy pink hair! Fun Christmas or Birthday Gift Idea for Girls! I guess she definitely wants to go to school with your little girl today too! (Do you know why her names is Misty Mysterious? Great Gift Idea for Girls! 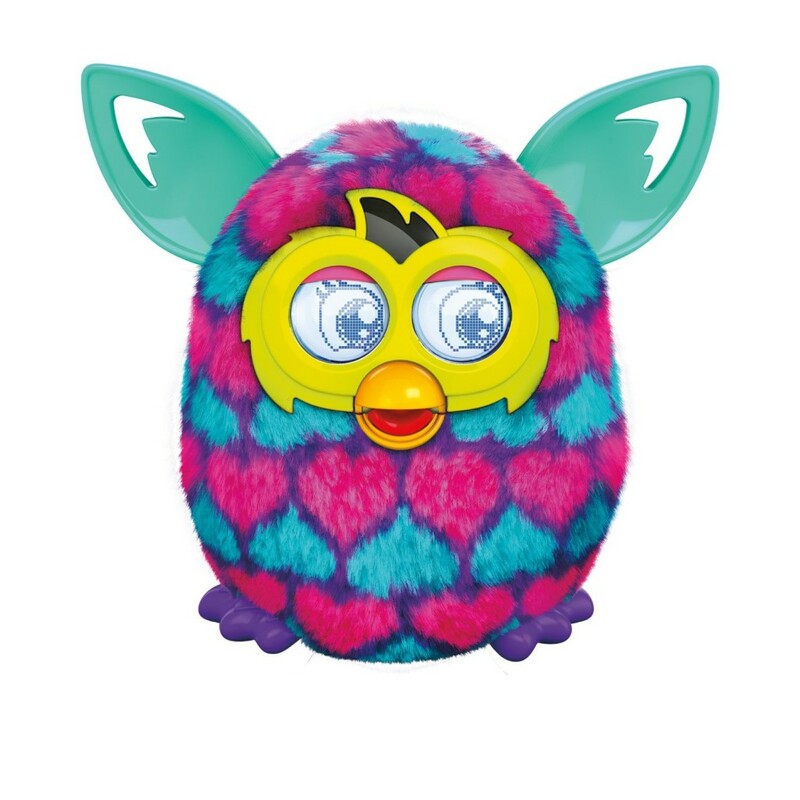 How about giving your 6 year old girl a cute and fun Furby? They now come in the most fun colors and designs ever! 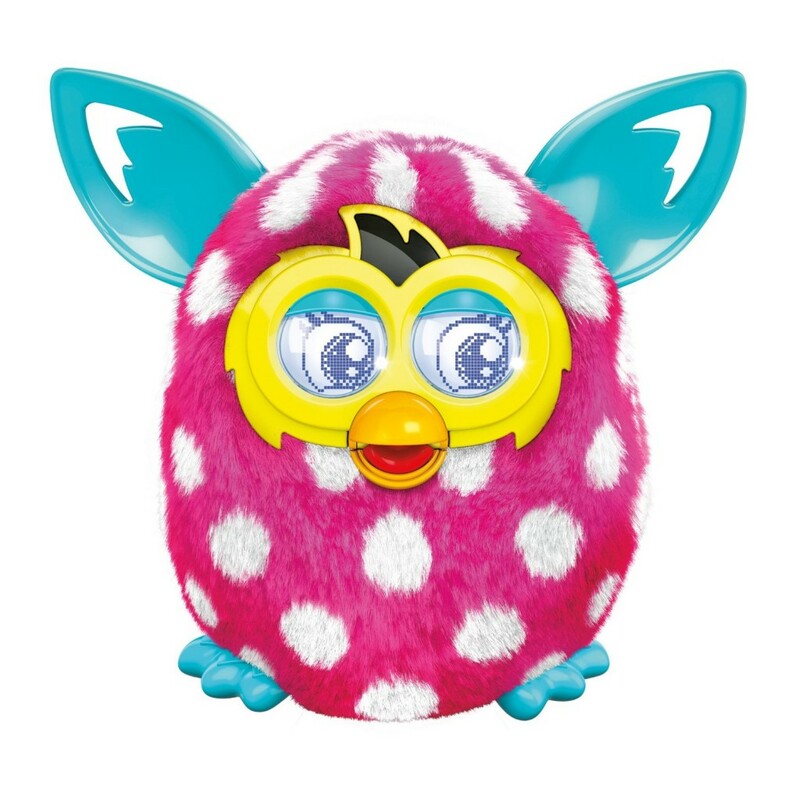 I love this cute pink Furby with white polka-dots and turquoise Furby ears! I couldn’t resist showing you this adorable pink and blue hearts Furby! What a cute gift for any 6 year old girl! Did you know that the Furby dolls ‘adapt’ to your personality? The more you talk and play with him, the more he reacts and speaks! 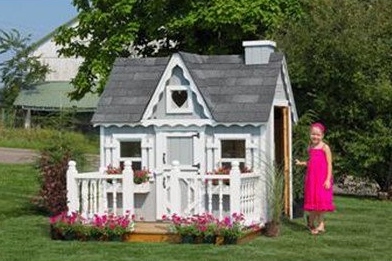 Amazing Outdoor Victorian Cottage Playhouse for Girls! Awesome Gift Idea for 6 Year Old Girls! Can you imagine them having their very own real looking house with a cute heart-shaped window? It is the ultimate outdoor gift idea for a little girl! They love to ‘populate’ their new sweet home with their favorite dolls and stuffed animals! Always a Great Gift Idea for 6 Year Old Girls! Dollhouses also make great gift ideas for 6 year old girls! This is a beautiful dollhouse with furniture! The best doll houses are huge and very colorful, full of furniture! They are fun and entertaining! This amazing dollhouse has 3 stories! All rooms are furnished with the latest style in home decor! I think your little girl is going to love getting one! They look so awesome in their bedrooms! How about a Cute Barbie Bicycle? Fun Outdoor Gift Idea for 6 Year Old Girls! Cute bicycles also make great fun gifts for 6 year old girls! 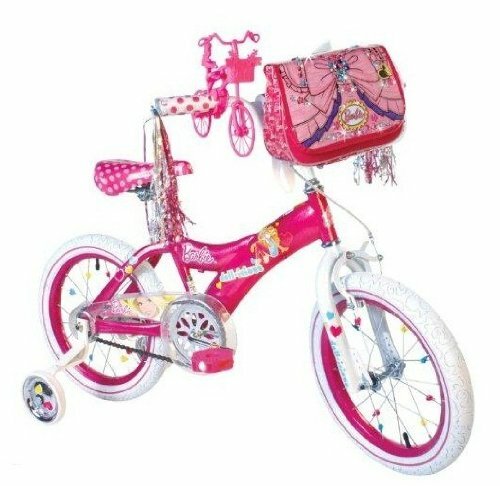 This cute Barbie bicycle will be perfect for the 6 year old girl in your family! I love the cute pink pouch and all the cute Barbie graphics! Don’t forget to also get a cute pink helmet to go with it! 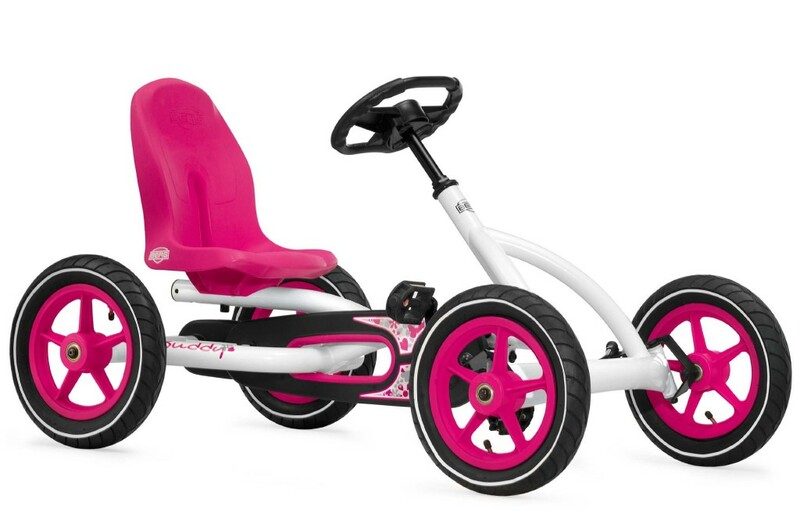 Cool Pedal Go Kart for Girls! Pedal go karts also make awesome outdoor gift ideas for 6 year olds! They are so much fun and a great way to exercise as well! I was lucky enough to have one when I was a little girl! I would pedal around the house hundreds of times a day! Fun Pink, Purple and White Roller Blades for Girls! Very Cool Outdoor Gift Idea for 6 Year Girl! 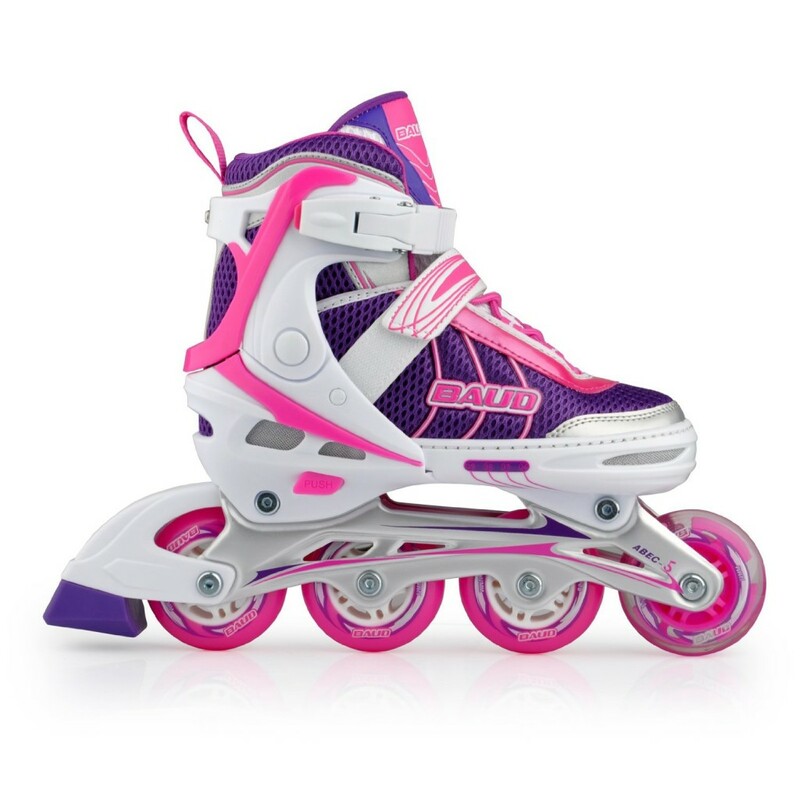 I think any little girl will be thrilled to get a cute and fun pair of pink, white and purple roller blades! They are another fun way for girls to exercise and spend time outdoors! That means that they will ‘grow’ with her feet! How about a gorgeous Hot Pink Drum Set? Very Cool Musical Gift Idea for Little Girls! How about giving her a fun pink drum set? Music is one of the greatest gift ideas for any child! I bet your six year old girl and future rock star is going to love it! 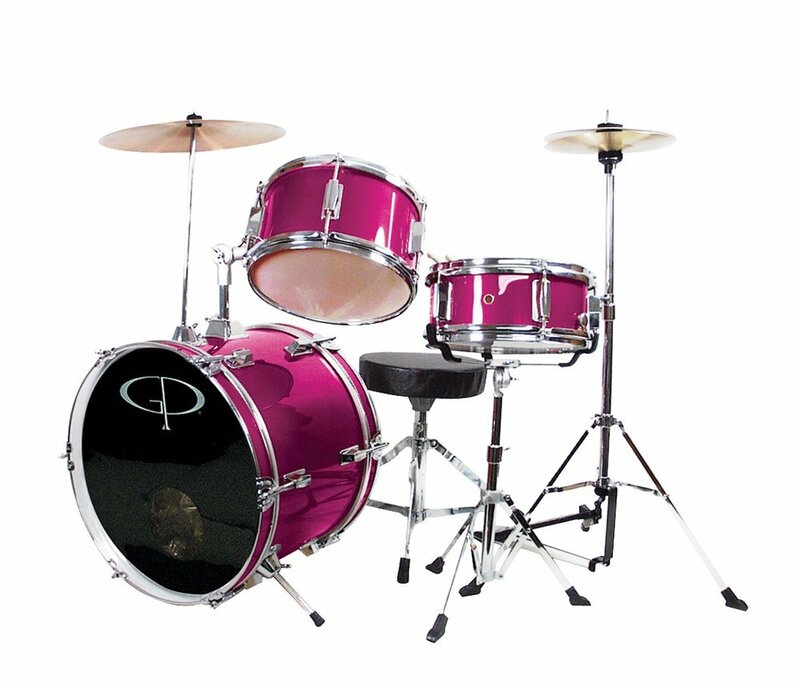 It is a very high-quality pink drum set for girls ages 4 and up! Beautiful Gift for a 6 Year Old Girl! Cute jewelry boxes also make great gift ideas for 6 year old girls! They are a fun way for them to keep all their trinkets and girly jewelry! 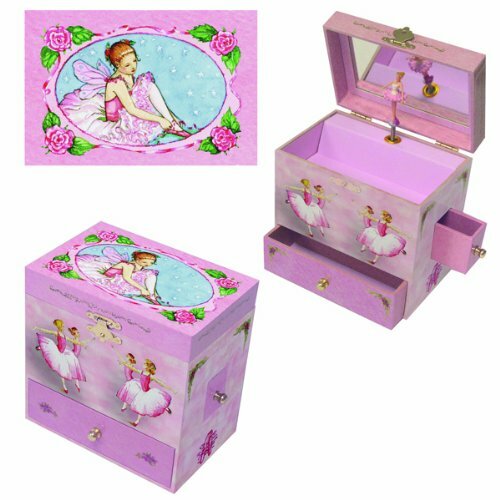 This is a very cute precious pink musical ballerina jewelry box full of pink flowers for little girls! There is also e very cute ballerina inside who loves to dance to the sound of Swan Lake! Beautiful Gift Idea for A Little Girl’s Bedroom! How about a cute fairy lamp lamp for your 6 year old girl’s bedroom? 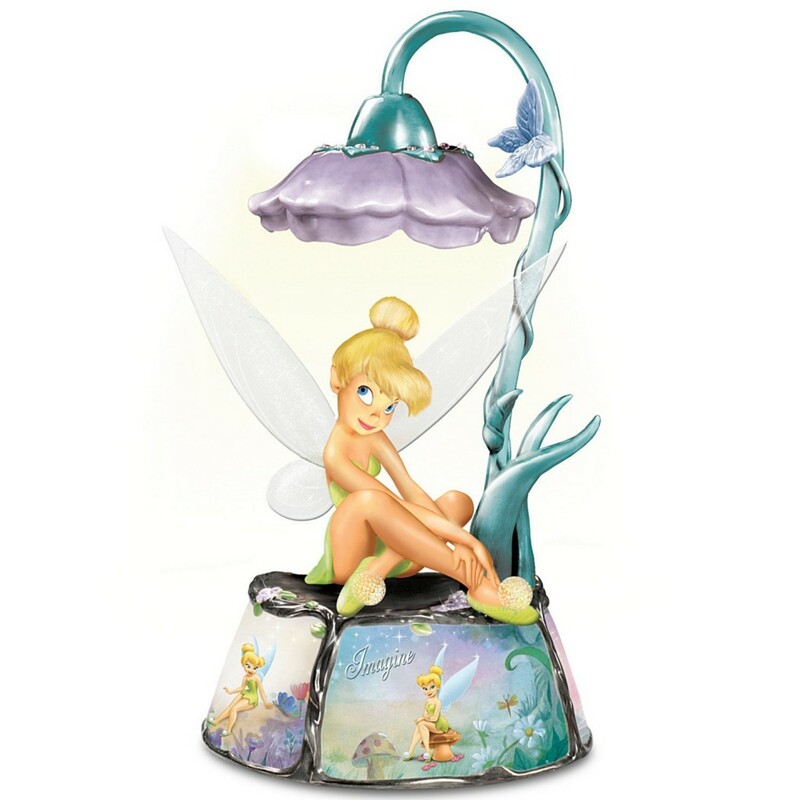 It is a gorgeous and beyond adorable Tinkerbell musical lamp! It plays one of my favorite songs of all times! “When You Wish Upon a Star”! Cute lamps and cute lights make wonderful gift ideas for 6 year old girls! They are fun and colorful! 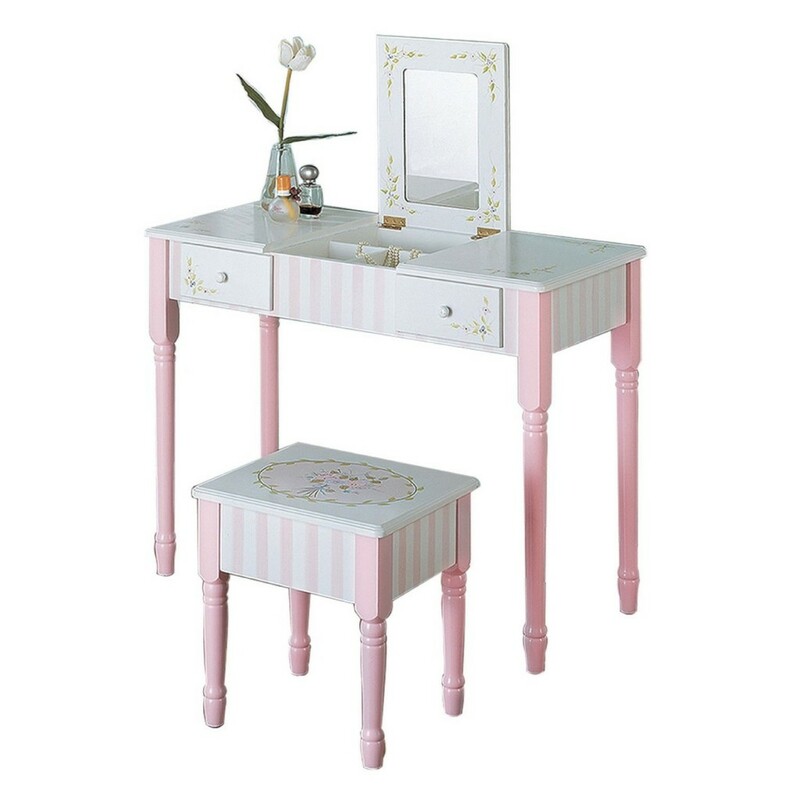 Little girls also like to have their very own vanity table and mirror, just like mom! It is beautiful and very durable! Will make a wonderful Christmas gift idea from grandmothers to their beautiful 6 year old granddaughters! *I hope I’ve been helpful to you here!